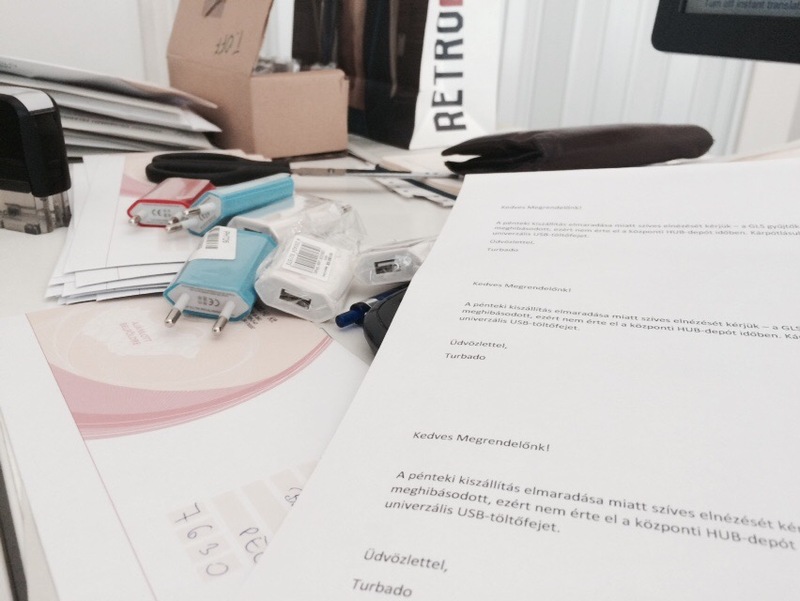 Last week Thursday in Hungary, as every other day, we handed over around 40 packages to GLS courier for next business day delivery. Friday noon, we started getting calls from angry customers why their new mobile phone has not arrived. Tracking numbers on GLS website showed as packages still in warehouse, not out for delivery. GLS has forgotten all our parcels in their depot and 40 Hungarian customers were left with a bad feeling about Turbado. To make this up, we immediately contacted all affected customers by phone, informing them what just happened and promising them speedy resolution, Monday delivery and that we make up for OUR mistake. Today, Monday we send out to every one of them a SORRY note, apologizing for not delivering what we promised and to make up for this mistake, we send them an extra phone charger. Even if they return their package, they can keep this gift, and we hope they will consider doing business with us in the future again. And to GLS, we informed them that mistakes like this are not acceptable for us, and if it happens again, we will be forced to look for a new courier company in Hungary. Every mistake, our own or that of our supplier, if it affects our customers, is our mistake, we must take responsibility for it and make up for it. Even unsatisfied customers can become satisfied or at least less unsatisfied, so we keep our strategy true = do everything a little better than others do. 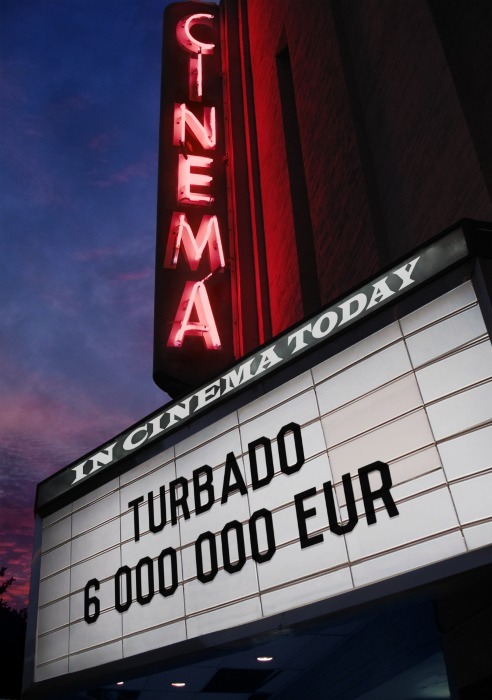 Turbado by the end of April 2015 has received 23179 orders with an average value of 263.77 Eur, bringing in a revenue of over 6.1 Million Euros. All this with only 200k Euros stock inventory, a great team of sales people, warehouse staff and managers. Today we are active in Poland, Hungary, Slovakia, Czech Republic and Germany. Spain, France and the other countries we had to close for the shortage of money. Only 4 out of 1000 customers are not SATISFIED and would not recommend our company to others, mostly because they don’t feel safe about not being the owner of the device they get from us. Customers mostly like our price/value ratio, free shipping, next day delivery, express warranty replacement, but the most they talk about is our Superior Unexpected Customer Support. Our customers love how we treat them and they recommend us to their friends, colleagues and family. And over 8% of our orders are from repeated customers. At this stage, we are bringing in daily around 150 new customers and shipping out 180 mobile phones. This December we want to be at 700 items a day, so we have a lot of work ahead of us. The easiest to grow is to open new countries and tap into new markets, but that costs us around 50000 EUR per country (opening the local operation and breaking even). So Austria, Spain, France, UK and the rest of EU will have to wait a bit… we are making money to come to you.